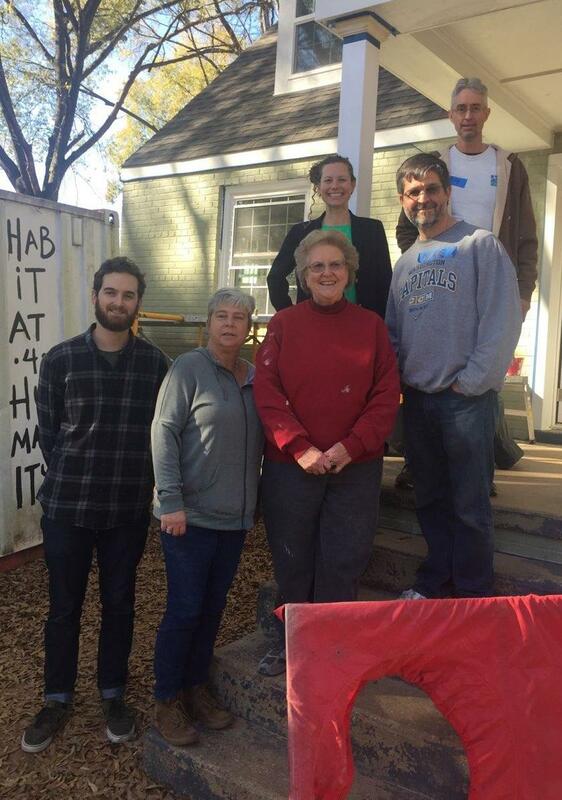 Viridiant staff recently visited a single-family home under renovation by Richmond Metropolitan Habitat for Humanity and were joined by volunteers from the Virginia Department of Mines, Minerals, and Energy (DMME). 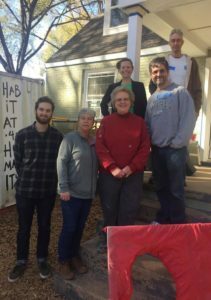 The home is a 1,200 square foot cape-cod built in 1969 and located just outside the Randolph neighborhood in Richmond, VA. Like many Habitat homes, it is pursuing EarthCraft certification. 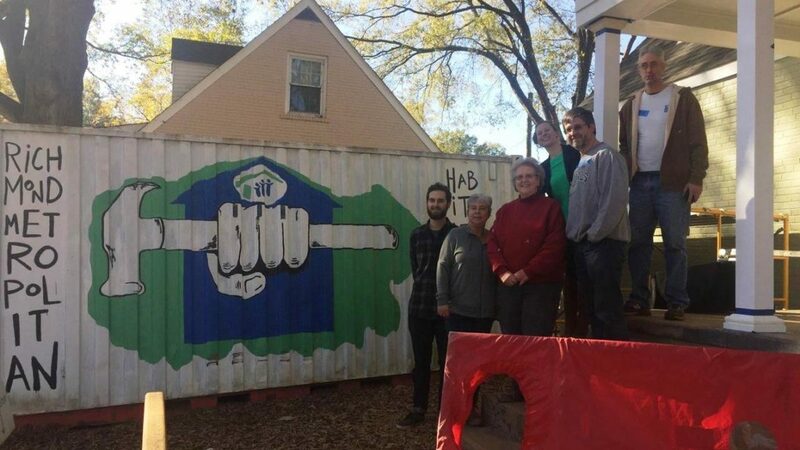 During the volunteer day, Viridiant’s Executive Director KC Bleile talked about the unique partnership between Viridiant and Habitat for Humanity as well as the history behind the EarthCraft program and its introduction into Virginia. Viridiant Technical Advisor Bill Riggs discussed the requirements associated with meeting the EarthCraft certification, HERS modeling, and the quality assurance provided through the inspection process. Additionally, blower door testing was conducted at the home to show the method for capturing envelope leakage and provide a first-hand demonstration to volunteers. This Habitat home has undergone extensive renovations: completely gutting the interior; re-insulating; installing brand new mechanical equipment, appliances, and finishes. These improvements will result in a much more comfortable, healthy, and energy-efficient home. The benefits of green construction are especially apparent in affordable housing. 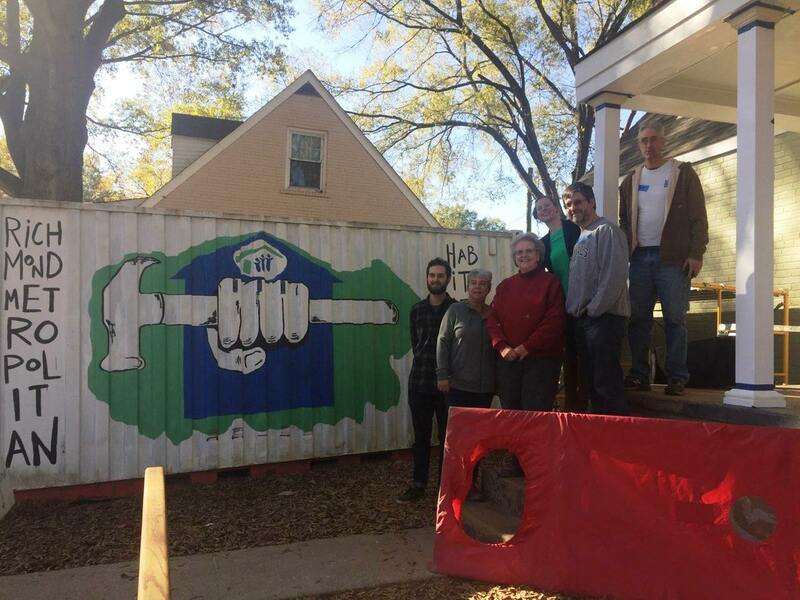 That’s why Habitat for Humanity and other nonprofits partner with Viridiant. For families fighting their way out of poverty, energy-efficient homes represent a major step toward their American dream. Every gift to Viridiant pushes that dream forward, helping us touch more buildings, educate more industry professionals, and advocate for high performance construction. Whatever the amount, charitable contributions make our services more affordable, fuel research, and drive educational outreach. We hope you’ll stay involved in our vital work and consider making a tax-deductible gift.